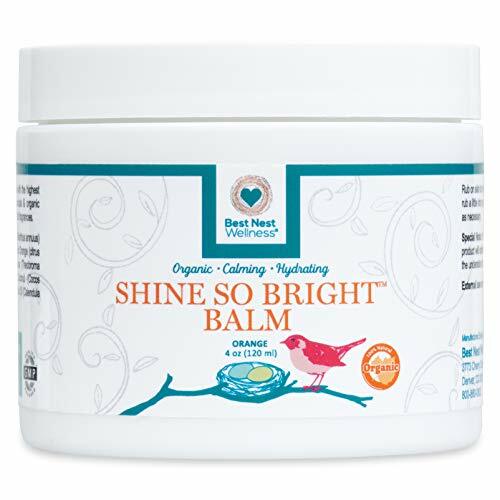 Shine So Bright Body Balm softens skin on your tummy, legs, breasts, and anywhere else you need. 100% Organic – We make our rich cream only out of natural and organic ingredients. Preservatives and artificial fragrances can irritate skin. Deeply Moisturizing – Our proprietary blend of organic oils moisturizes the skin with every use. Calendula, cocoa butter, and other naturally derived botanicals and organics soften skin. Luxurious – Our body butter pampers skins, softening and nourishing skin stretch. Potent – Just a little of the body balm is all you need to massage in to get results. Better than lotion! 100% Satisfaction Guarantee – prepare to be wowed! We are committed to providing you with the very best organic body balm.